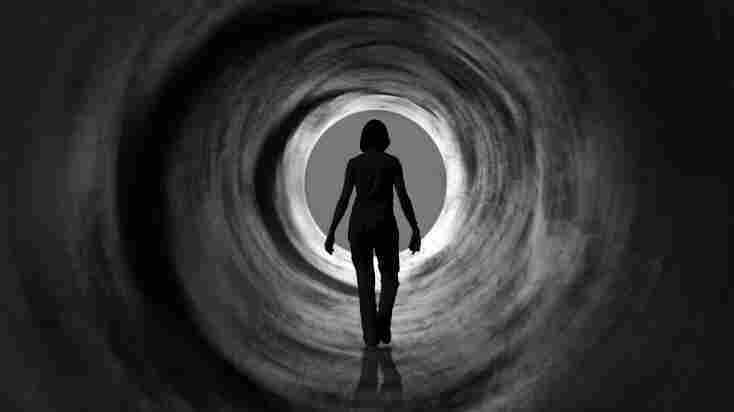 Study Finds Sleepwalking Is Commonplace : Shots - Health News Some 3.6 percent of adults engaged in "nocturnal wandering," as the researchers put it, in the year before they answered questions during an interview for a study. One percent reported having two or more episodes of sleepwalking a month. To be perfectly honest, I'm not sure I've ever walked in my sleep. There's a family story that I'd like to label fiction about a somnolent bathroom run that ended in a closet. But if it ever happened, I don't remember it. Turns out sleepwalking is pretty common though. At some point in life, 29 percent of adults in the U.S. walk in their sleep, according to a study published in the journal Neurology. Some 3.6 percent of adults had engaged in "nocturnal wandering," as the researchers put it, in the year before they answered questions during an interview for the study. One percent had two or more episodes of sleepwalking a month in the previous year. Sleepwalking by kids is "very common," with some studies finding as many as 30 percent of children strolling around while they doze, the researchers note. The behavior tends to decrease with age. The researchers on the latest study, which involved more than 15,000 people, say it's the first to show how common sleeping walking is in the general population. What leads to sleepwalking? The researchers looked at a lot of factors, though this is the kind of study that can't pinpoint a cause. Sleeping less than seven hours a night was associated with a slight increase in the odds of sleepwalking. Sleep that's interrupted often, or fragmented in the researchers' lingo, could be an issue. But further analysis suggested the cause of the interruptions, such as sleep apnea or insomnia, might be more important. Taking antidepressants and other drugs for mental health conditions appeared at first to be a significant factor. But the researchers did some additional analysis and concluded that the drugs, rather than causing the wandering, "appear to trigger events in predisposed individuals." The study had limitations, including the fact that it relied on people being aware of the sleepwalking incidents. If anything, the researchers figure their estimates of sleepwalking prevalence are on the low side. Sleepwalking can lead to real trouble, as the researcher note, saying it can result in injuries. Comedian Mike Birbiglia, a sleepwalker, has made mined humor from some of his misadventures, including one that could have gotten him killed. He jumped through a hotel window while escaping, he thought, a missile with his name on it. He had been dreaming. But the blood on his legs was real, as he told NPR's Talk of the Nation in 2009. He talked with Fresh Air's Terry Gross the following year about his book Sleepwalk With Me. And most recently, he made a pretty funny video with Goss that is kind of like a bad dream for an encore of This American Life's live show. You can check it out below.